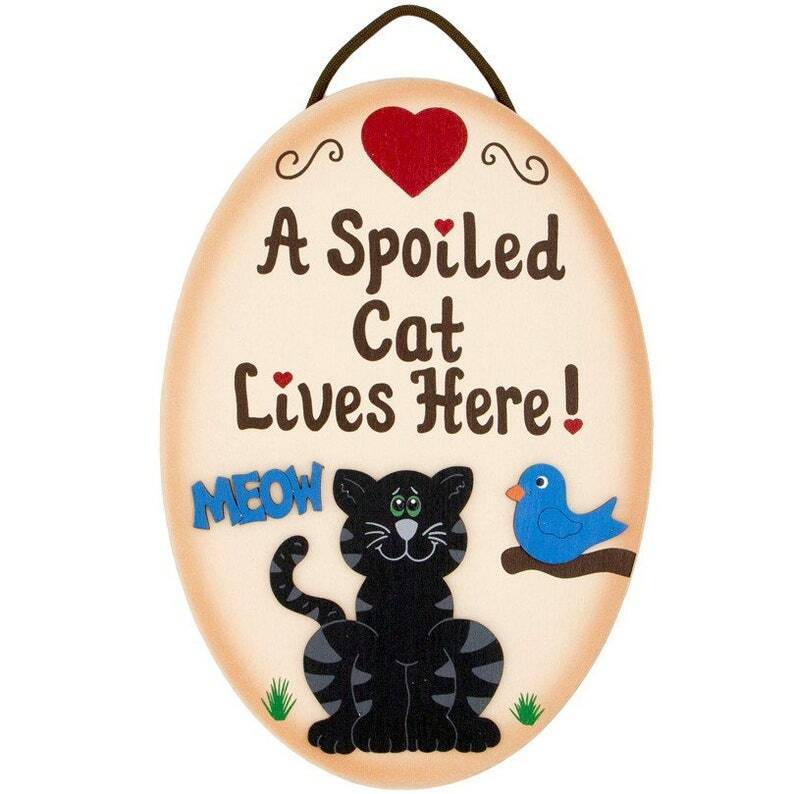 A Spoiled Cat lives here sign is made from wood and painted with a very high quality cream color exterior paint. Edges of the spoiled cat sign are shaded light brown. Meow, bird and cats are separate pieces of wood that are attached to this adorable cat sign. Cats are available in 4 different colors. Grey, black, white and yellow.